For the first time since Madison Arseneault's skull was*impaled by a sawed-off golf club during gym class more than*two years ago,*the partially paralyzed teen has a bedroom she can actually access. Since the*2016 accident, the family has been struggling with finances and*would not*have been able to do the renovations on their own. Madison's life has*dramatically changed ever since that spring day on May 25. The accident happened during a gym class at the Ford Test Track, a city*park*adjacent to Madison's grade school. The Grade 8 student was running on the track,*decided to cut through on the grass, and*tripped on some string city crews were using as a guide*to paint lines on the soccer field. *That string was held in place by*sawed-off golf clubs staked in the ground, one of which came loose and punctured Madison's skull. Local philanthropist Jim Scott heard about what happened and*called everyone he knew for help. Knowing the journey to recovery was going to be tough, they focused on making her family's home accessible. More than 70 people came together and donated their time, money or supplies to retrofit her home. "She's living her life and she continues to want to be a normal student," said*Jake Heydon, a*football player at*Holy Names Catholic High School who played a role in the project. Organizers had trouble finding someone to handle*the demolition side of the renovation, so Heydon, his teammates and coaches made it happen. Partial paralysis is something Madison will likely have to live with for the rest of her life, according to her doctors. And at the end of each day, the teen*says she often finds herself in pain because of unexplained circulation issues. Madison*also loves to bake and cook, so she helped design the new kitchen to ensure it's functional for her needs. From pull-down shelves in the upper cabinets, to a blender that simply pulls out from under the counter, she'll soon be ready to resume her small cake-making business from home. The home*also now has an attached garage that leads to a lift inside, so Madison no longer has to wheel around the house in the rain or snow to access the backyard. And in her bathroom, most things are on the right-hand side because of her vision impairment. Almost every day of each week, the teen*has some sort of therapy —*from counselling*to*physiotherapy. Although she made some gains,*defying doctors' predictions*and starting to*walk*again, recently she's taken a few steps back. "I've been getting more headaches;*they're getting worse and just different, but nobody knows why," she said. One day at school, her headache became*so severe it caused uncontrollable*vomiting, a lot of pain and landed her in the hospital. Arseneault*describes it as "one of the worst pains I've ever felt." 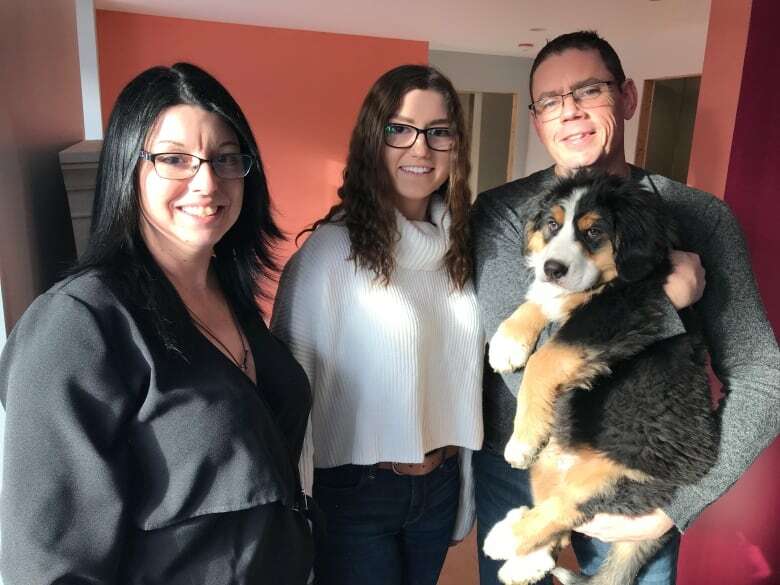 "When I think about the way life was supposed to be and what I wanted for my daughter, that's what gets me," said Shirley Arseneault. *"When I see her struggle or in pain, that's what gets me. But she's here*—*she wasn't supposed to be, but she is."